When you are investing in real estate for the first time, it is necessary to work with real estate companies that are known. If you are not sure how to go about looking for the good companies, then there are some pointers that can guide you. The Indian economy is rising and so is the population of India. With this the demand for housing also increases; hence the real estate sector has experienced a boom in the recent years. Builders, both large and small are trying to allure the new age investors by offering attractive deals and discounts. However, a lot of preparation and patience is needed to invest in the right property, especially if you are on the lookout of your dream home. When looking for a builder, consider the market reputation before anything else. This means you must check out their past history – whether they have been able to deliver projects on time, the quality of projects, type of complaints (if any), quality of architects employed and so on. Moreover, a reputed builder would have hold a license from the appropriate authorities to enhance their credibility; hence it is best to look for licensed builders. 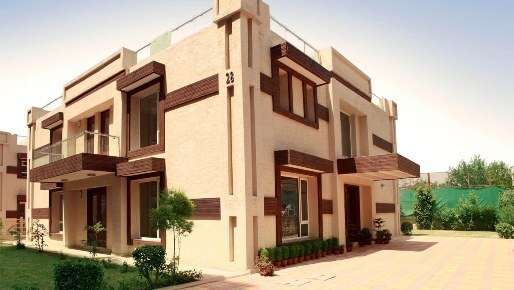 Moreover, a good builder would listen to your specific needs and requirements and then offer you with the best offers. If a builder is trying to hard sell, leave his office right away. Reputed and well-established builders would have a registered office and will include the details on their websites as well as in the adverts. Hence, make an appointment to meet fact-to-face, preferably in the builder’s office. You can have a fair idea about the quality of the builder by visiting their office; you may also be lucky to meet other clients and have a talk about the builder. You must never invest in projects that have legal hassles. However, you might never know about the legal hassles if you do not perform a legal background check. Ask for the legal documents that would be required; talk to an experienced lawyer and make sure the project complies with the building standards and has appropriate clearances from the authorities. Compare the rates offered by the builders; get quotations from all the builders in your preferred locality and compare the prices to see which offer is the best depending upon your specific requirements. Make sure there are no hidden prices; if you negotiate the prices make sure they are included in the agreement to avoid future hassles. Real estate investment is one of the biggest investments you will ever make in your life; hence it is a must that you do your research and invest in the right property. The first step towards finding the right property is to find the right builder. Hence, follow the mentioned tips and buy your dream home without hassles. Rabi Paul is a freelance writer with years of experience in writing on various topics. His recent write up talks about how to pick the correct real estate company if you are investing in real estate for the first time.